These three things were said while we were holidaying: by mumma, grandma and Love Bug. All sayings are related, but I bet you can’t match the saying to the person!! My guesses are the same as Emma’s. Are we right? Why is Beary wearing the cone? Should we be worried? 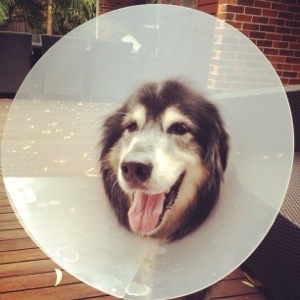 Oh my it can go anyway, but why is the bear in the cone of shame?